Objective is to communicates to the client community the unique and differentiated experience and skill Phoventus possess. 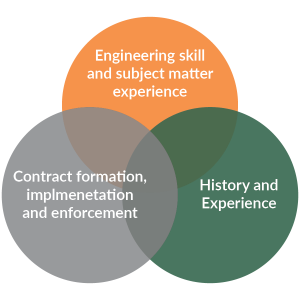 Complex problems involving the overlapping understanding of engineering principals, legal principals, precedent and experience, diversity in jurisdiction, History, technical expertise, third party recognition. Dispute resolution requires over lapping skills. EPC Contract formation. The technical development, formatting alignment with project requirement. Contract management and enforcement and monitoring during construction. Post construction close out evaluation including lien management and subcontractor dispute resolution. End of warranty evaluation and warranty claim support. Arbitration and dispute resolution support. 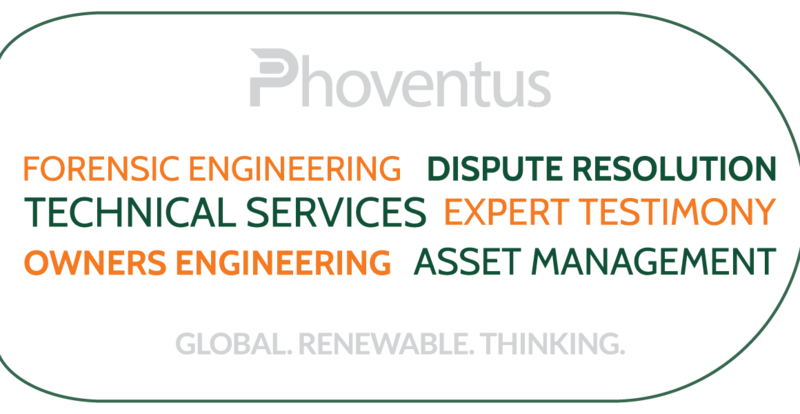 Phoventus provides advice to clients needing assistance in resolving disputes surrounding renewable power projects. Our specific area of practice includes complex engineering, problem diagnosis, forensic review and independent engineering opinions. Our target clients are; Law Firms, Developers, Government Agencies, Procurement Departments of large asset owners (IPPs ) . 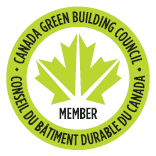 We are different because; we can demonstrate experience and references and very specific industry knowledge. Our experience is a differentiator, also the relationships we have with various law firms. Our areas of practice are ; electrical engineering, management consulting, Solar power , Wind Power , Renewable Power. The management, supervision, and closeout of EPC construction contracts are fundamental to the success of our clients. We are uniquely qualified to assist our client in closing gaps between themselves and their construction partners.